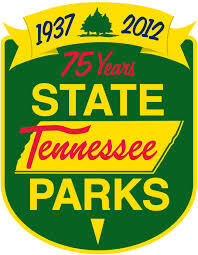 Plant your “family roots” in a Tennessee State Park! Book a get away now at a Tennessee State Park Resort. A great way to nurture family ties is with an annual family reunion. The Tennessee State Park Resorts makes it easy by providing family fun in the great outdoors with six inns to fit your budget. And now, we will donate a tree thanks to our partnership with Sound Forest.org! We will plant a tree in your honor in the park for your reunion. You will enjoy charting its growth as you return for reunions throughout the years! Take a family picture each year at the “family tree” and plant the roots of a brand new tradition! State Parks will take the first photo and email it to each family member, and provide GPS coordinates so your family can easily find your tree year after year. A minimum of fifteen (15) rooms for two (2) nights is required. Rate restrictions apply. 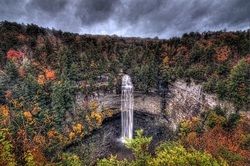 Fall Creek Falls State Park – just 45 minutes south of Cookeville. The 145-room inn offers panoramic views of 345-acre Fall Creek Falls Lake and makes a great base for folks hiking out to the park’s 256-foot high namesake. A few rooms are fully handicap accessible. Inn rooms range as low as $70 a night for a room with two double beds to $90 a night for a single king, depending on the time of the year. Ask about an up-grade to a hotel suite. 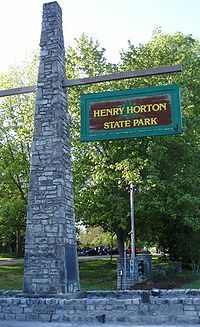 Henry Horton State Park - Located along on the shores of the Duck River just 40 miles south of Nashville, Henry Horton attracts vacationing families from across middle Tennessee to enjoy its convenient 65-room inn, Olympic-sized pool, diverse amenities and renowned picnic sites. A few rooms are fully handicap accessible. Inn rooms range as low as $67 a night for a room with two double beds to $77 a night for a single king, depending on the time of the year. Ask about an up-grade to a suite. 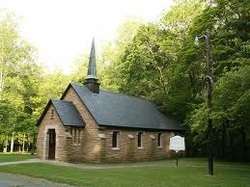 Montgomery Bell State Park – just 40 minutes west of Nashville. The park’s three lakes are open for fishing while canoes and paddle boats are available for rent. Hiking and biking is encouraged along several miles of trails at the park. All rooms and suites at the well-appointed 125-room inn have a private balcony and lake view. A few rooms are fully handicap accessible. Inn rooms range as low as $70 a night for a room with two double beds to $90 a night for a single king, depending on the time of the year. Ask about an up-grade to a hotel suite. 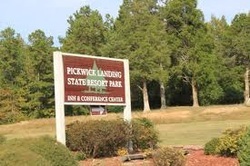 Pickwick Landing State Park - 18 minutes south of Savannah. The park is known as one of the top locations with excellent fishing, boating, swimming and marina on Pickwick Lake. This popular 119-room, three-diamond inn features memorable views and convenient access to the lake. A few single king rooms are fully handicap accessible. Inn rooms range as low as $70 a night for a room with two queen beds to $84 a night with two queen beds, depending on the time of the year. Ask about an up-grade to a hotel suite. 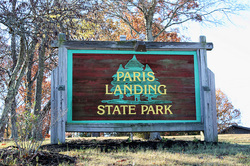 Paris Landing State Park - 55 minutes west of Clarksville. Enjoy the comfort of the Tennessee River off the lake, you can hike, camp or watch wildlife along the shoreline. Know as a top designation for bass anglers you can relax in style at the 130-room modern inn featuring balconies with a commanding view of Kentucky Lake. A few rooms are fully handicap accessible. Inn rooms range as low as $70 a night for a room with two double beds to $95 a night for a single king room, depending on the time of the year. Ask about an up-grade to a hotel suite. 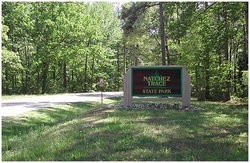 Natchez Trace State Park - the park is situated on scenic Pin Oak Lake and has 47 guestrooms 40 minutes east of Jackson. Half of the rooms face Pin Oak Lake and the other half face the outdoor pool. A few rooms are fully handicap accessible. Inn rooms range as low as $67 a night for a room with two queen beds to $72 a night for a single queen room, depending on the time of the year. Ask about an up-grade to a hotel suite.